Meet MicroSurvey’s team of certified trainers. Our trainers are experienced professionals whose services can be engaged either by enrolling in one of our formal online or classroom sessions, or by contracting them on a “per day” basis to teach custom sessions online or at your office. Please call 1-800-668-3312 to make inquiries about custom training, or see the training schedule to learn about our upcoming formal classes. Recognized as an experienced user in the industry and recommended by MicroSurvey for short, custom training services in select software. An Industry Professional who has conducted both customized and formal training in a supervised setting. Able to offer custom training services and to parts of the MicroSurvey Formal training curriculum. A Qualified Trainer who has taught all of a MicroSurvey formal class in a supervised setting and is endorsed by MicroSurvey to teach a MicroSurvey Formal class independently and to issue Certificates of Certification to graduates. James Johnston has been MicroSurvey's training and support manager for a decade now, and has a background in both teaching and land surveying. He develops training resources for MicroSurvey's active team of teachers and he also teaches online and classroom lessons with newer MicroSurvey products. 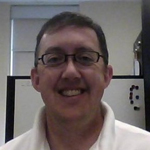 Steven Thurgood is a Monitoring Solutions Consultant for MicroSurvey’s UK distribution partner SCCS. He is an experienced land and engineering surveyor with over 20 years field experience working on a multitude of large scale projects over time. His experience includes survey control GNSS/terrestrial, topographic, setting out, as built and monitoring. His specialism in recent years has become deformation monitoring with automated total stations. He ran the largest homogeneously adjusted automated total station network in the world for a section of the Crossrail railway project in London for 4 years and has an excellent knowledge of how to integrate StarNet into real time networks operating 24/7. 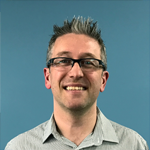 Steven runs UK based certified training sessions for MicroSurvey Star*Net and has been a user of the product since 1997. 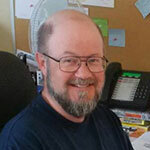 Lee Morden is a Geomatics Instructor at SAIT Polytechnic, and an experienced MicroSurvey Trainer. Lee has an industry background in construction and municipal surveying and is a registered Alberta Legal Land Surveyor. 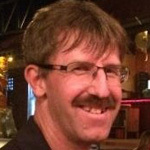 Scott Crossley is a Canada Lands Surveyor and Survey Technologist with over 28 years of experience working with Geodetic Survey of Canada and also 14 years providing computer support worldwide. 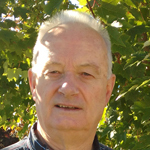 Scott finished his working career offering technical support at MicroSurvey and is now retired. 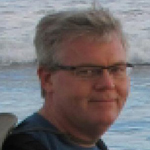 He facilitates most of our online classes and is a great assistant instructor. Scott likes working with people who have lots of experience in the surveying industry but are not as experienced with the newest technologies. Ian Wilson is a project surveyor with BKF Engineers. He is an experienced MicroSurvey trainer and a long time user of MicroSurvey and Autodesk products, with a wide range of experience in the geomatics industry in California. He also teaches Boundary Surveying Principles and Legal Description Writing for the California Professional Licensing Exam. 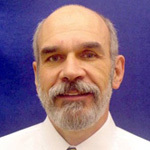 Glen has 31 years of experience working in the survey and civil engineering fields. 16 of these years was as the Technical Support Manager for MicroSurvey. Glen has run training courses in 4 different counties with well over 1,000 students total to date. Glen is currently employed as a Engineering Tech 1 for the City of North Bay, Ontario, doing design and drafting for a wide range of civil projects. 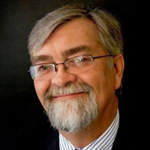 Peter has 35 years of professional level experience in a variety of surveying and civil engineering endeavors. His surveying experience includes performing and managing various types of surveys including control, deformation monitoring, boundary, right-of-way, topographic, utility, subdivision, and commercial development surveys. His civil engineering experience includes commercial site planning and design, and roadway planning, design, and construction administration services. Professional Land Surveyor and Engineer with 25 years of extensive experience surveying throughout Canada and the world.